Rare books by J. G. Ballard, including first editions, signed first edition, and copies in fine bindings of The Drowned World, Crash, and Empire of the Sun. 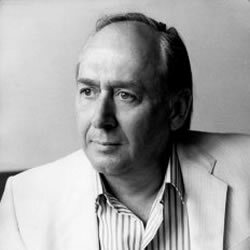 J G Ballard (1930-2009) was a popular English Science Fiction writer who wrote across several mediums including novels, short stories and essays. While Empire of the Sun is perhaps his most commercially accessible novel, many of his works use an unusual narrative and explore thematically curious ideas within the New Wave movement. The Voices of Time and Other Stories. Ballard explores the human condition from many different angles in works such as The Drowned World,High Rise andEmpire sequel The Kindness of Women. A subject of much controversy throughout his life, Ballard’s ‘condensed novel collection’ The Atrocity Exhibition is perhaps the best example of his skill and style. His stylistic exploration about the private imagination of the individual is still lauded today by critics and readers alike.